Ashen E.C. 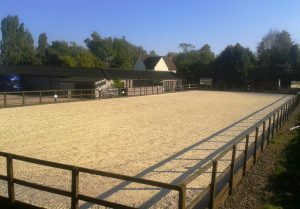 is a welcoming, non-discipline specific training centre where horses and their owners will feel and be supported in their learning. Training combines rider bio-mechanics, classical and ethical training systems. Ashen E.C, Ashen, Sudbury, Suffolk, CO10 8JU is situated on the edge of the beautiful Stour Valley on the borders of Essex and Suffolk, close to the historic market town of Clare. 45 mins from Stansted Airport, 45 mins from Cambridge with easy access from the M11, A14, and A12. Please enjoy looking around our website, your comments and feedback are always welcome.